A molding with double curvature. combining ovolo and cavetto. 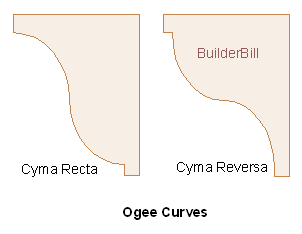 These curves based on the joining of two opposite arcs are seen over and over again in architecture, woodwork and in many outside applications. Looking at the sketches above different interpretations can be made of them. With my background I see moulding, but it does not take much to see a pattern for a bell or an onion dome in them.